313. Chronometer escapement, the form now commonly constructed. 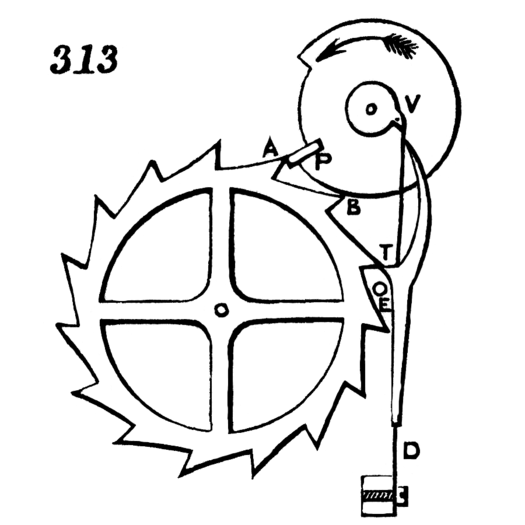 As the balance rotates in the direction of the arrow, the tooth, V, on the verge, presses the passing-spring against the lever, pressing aside the lever and removing the detent from the tooth of the escape-wheel. As balance returns, tooth, V, presses aside and passes spring without moving lever, which then rests against the stop, E. P is the only pallet upon which impulse is given.